Luncheon size plate of 8 1/2 inches. No chips, cracks or breaks but light wear. 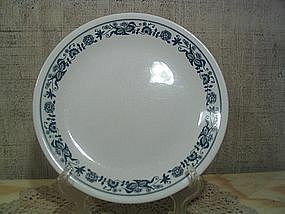 Several plates are available as well dinner plates, cups, saucers, 2 sizes of bowls and accessories. I need your zip code to calculate the postage.